and to be directed towards a common aim." We began our morning with an introduction to the meaning of the Holy Week, followed by time of silence. We spread pictures and reflections about the different moments of the Pascal Triduum in the big hall accompanied by soft music. We all participated in preparing a place for the “Passover of the Lord.” Some people went to cook, others prepared the table, others the readings, etc. After a while we gathered together outside to wash each other’s feet (hands), it was a solemn and quiet moment.in which we realized the need of every one to be washed, to be forgiven, to be loved. It was a touching and meaningful celebration. We thanked God for the good spirit in Choose Life Home Based Care Community. 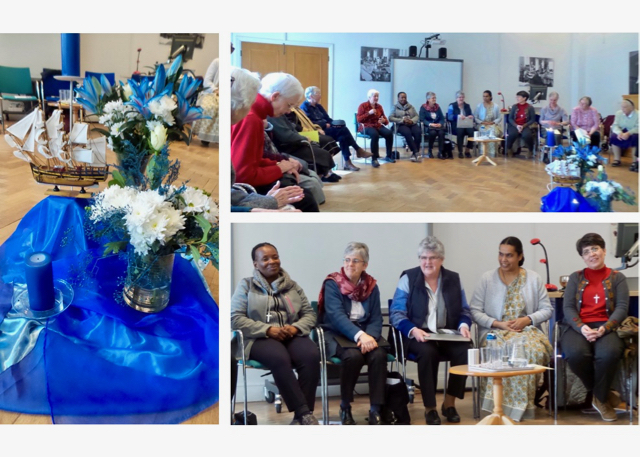 From 21st - 30th March we were delighted to welcome Barbara Dawson (Superior General) and her Team to the Province. 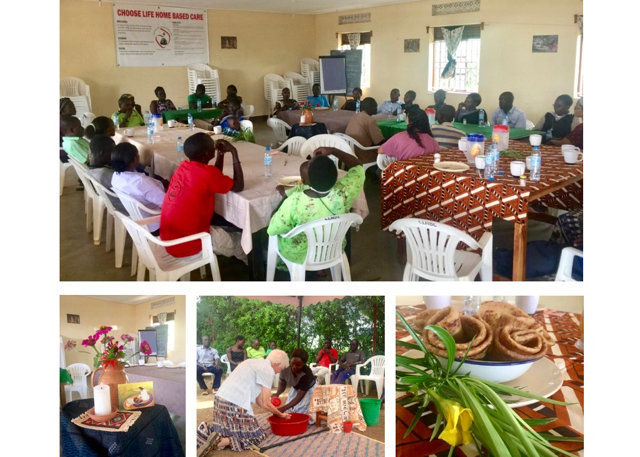 During their ten days with us they visited communities, and met with teams, committees, key staff and with all members of the Province, engaging with us in conversations about ourselves and the Society in Europe and the world. Cor Unum 65+ met on March 15-18 in Northbrook, Illinois. “A wonderful weekend of Sisterhood in the Sacred Heart tradition. 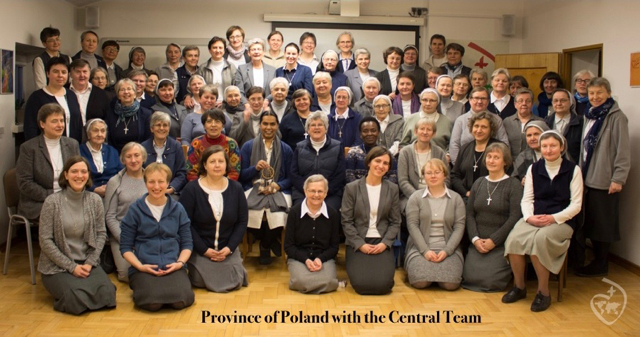 On February 26th to March 7th, the Central Team visited the Province of Poland. "They shared life with us. They talked with us and got to know our ministries. They had meetings with different committees in the Province, as well as with all the Sisters. Together we talked about the future of the Society." 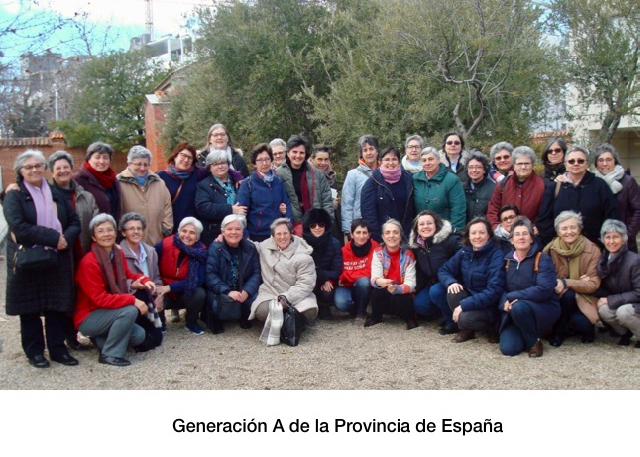 In the weekend of 10th - 11th February, we had the meeting of Generation A at our provincial house in Spain. This group includes all those who made their noviceship in Granada and afterwards. To internalize the situation and the current needs of the province and of our Generation A. To encourage and give energy to a greater commitment to the Province. To listen to one another and dialogue on Provincial issues. It was greatly appreciated that all who are in this generation were able to attend and we were able to deepen, exchange, and reflect on the reality we are being called to by the Lord Jesus to show forth His love. Our second meeting will be in April, with the Central Team, during their visit to our province.